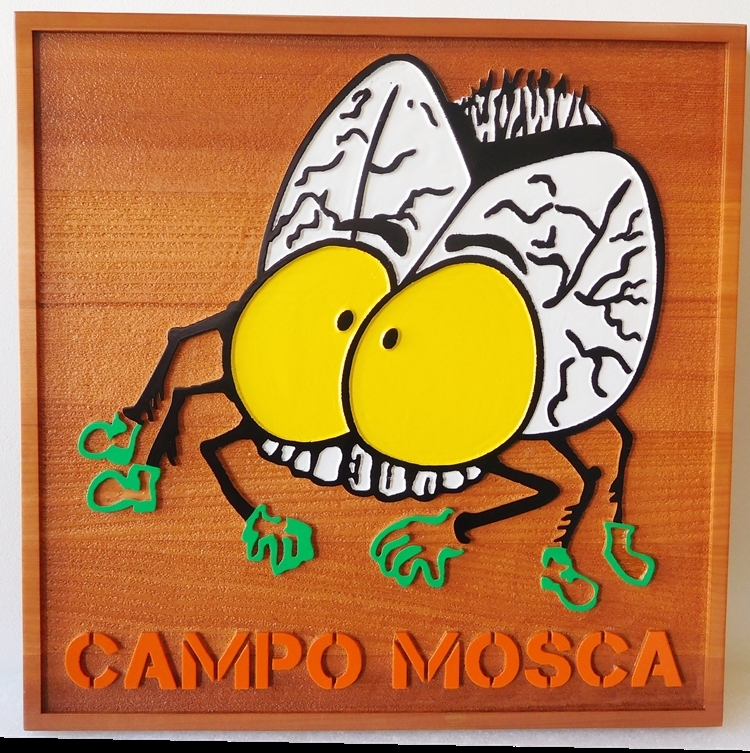 This sandblasted and carved sign for "Campo Mosco", features the cartoon of a mosquito. This custom 2.5-D sign is carved from western Red Cedar with raised text, artwork and border. The artwork is carved at 3 levels of relief. The background is sandblasted to bring out the wood grain texture. The sign is hand-painted with an artist brush. It is clear-coated twice for additional UV protection. This address sign can be mounted on an exterior wall or door, a post, or hung from a wrought iron scroll bracket or beam supported by two posts.